WHO WILL MAKE THEM, AND WHEN? LOTS FOR LESS, INC CAN HELP ASSURE THAT YOUR FAMILY DOESN'T SPEND MORE THAN NECESSARY. Below are just a few of the decisions that must be made either ahead of time, or at the time of need. Which Funeral Home? Price Differences? Which Cemetery & What Burial Type? Mausoleum Crypt Type & Location? Traditional Funeral followed by Cremation? Either At The Time Of Need, Or While Planning In Advance, Lots For Less, Inc Can Help Assure That Your Family Doesn't Spend More Than Necessary. EXPERIENCED: Over 40 years consulting with families about funeral & burial alternatives, initially working for several different cemetery/funeral homes in the DFW Metroplex then independently through Lots for Less. INDEPENDENT: Lots for Less is not affiliated, nor compensated, by any cemetery or funeral home. This means we can show you many options and make suggestions and comparisons without any personal bias. 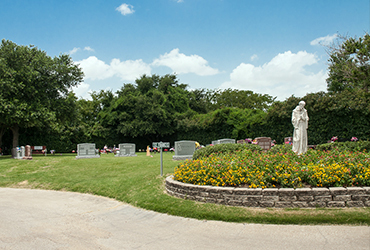 FUNERAL HOME REFERRALS: Though we are not associated with nor compensated by any funeral home, afer 40 years we are familiar with many funeral home choices you have available to choose from, and we can also provide a current price comparison of funeral homes in the Dallas-Fort Worth area. KNOWLEDGEABLE IN CEMETERY PROPERTY OWNERSHIP LAWS: Did you know there are many laws in place regarding WHO actually has the legal right to sell a cemetery lot? Inheritance rights are a factor, Multiple names on the deed are a factor, Whether someone named on the deed has died, just to name a few. 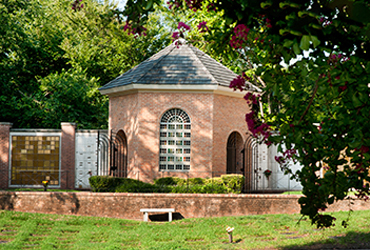 Does the cemetery itself have any changes that occurred after the purchase recorded in their records? With Lots for Less, we pre-quality every listing and obtain a copy of the deed and any other associated paperwork, and verify with the cemetery records, before we EVER list a property for sale. UNIQUE: Most online cemetery property resale sites are only that...a place for people to sell their property. They do not pre-qualify the listings ensuring the seller has the legal right to sell the property per cemetery requirements. Do you want to find out there's a problem in the middle of trying to bury a loved one? SERVICE ORIENTED: Unlike online sites, we think this decision is too important, and too personal, to make sight-unseen. 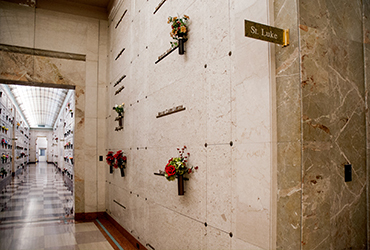 Lots for Less offers complimentary, no-obligation, tours of listings at a cemetery of your choice so you can SEE the locations and make sure they are exactly what you want for your loved one's burial.